Alrighty y’all, it’s that time of the year again! 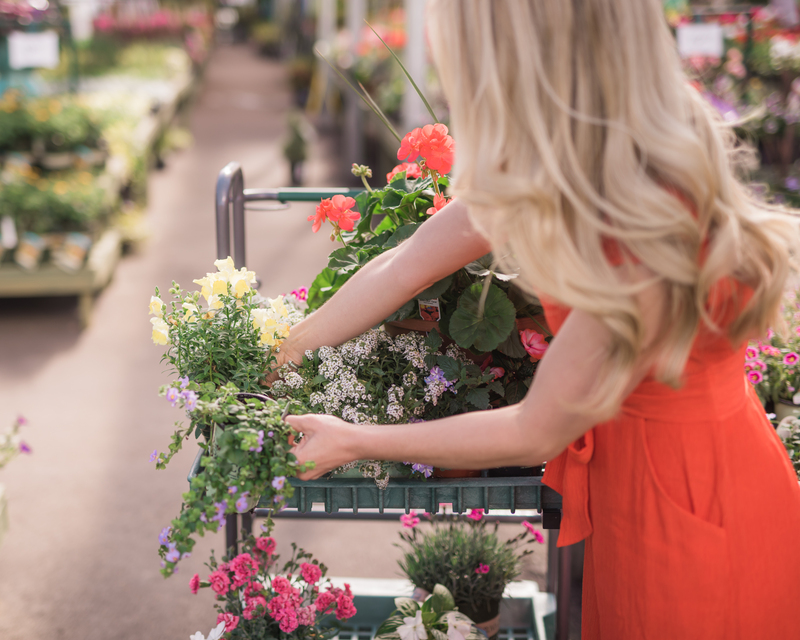 Spring is upon us, and with the weather just starting to warm up here in Charlotte, it’s a good a time as any to start thinking about sprucing up the exterior of your home. 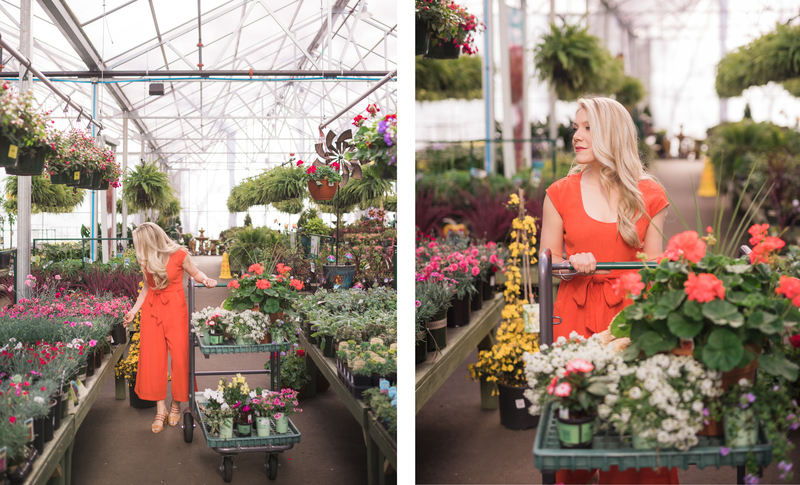 In lieu of this beautiful season, I’m excited to introduce a topic here on Style Souffle that I’m passionate about – gardening! These posts will go live every Monday throughout the entire month of April. This being the first ever post series to go live on Style Souffle, Justin and I have spent a considerable amount of time carefully planning out each post so that one proceedings the next. We’re so excited, y’all! This is something we’ve put a lot of hard work into creating. 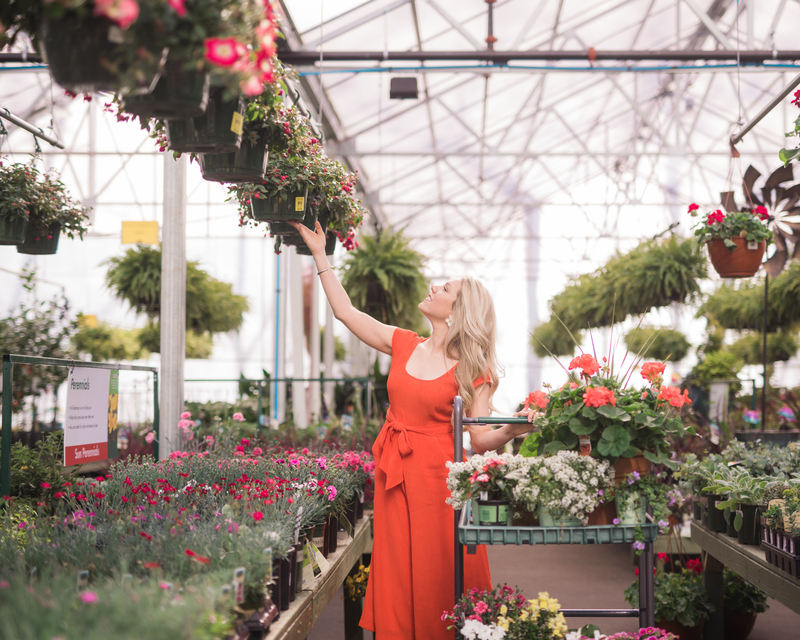 The series will discuss our most used and loved products and tools, how to create a balanced landscape, what to consider when selecting flowers, trees and shrubs for your area, everything you need to know about roses and how to create a well-balanced planter. Growing up, I spent a lot of time in my families garden. My summers were often filled with picking berries, playing in the creek down by our house and planting flowers with my grandmother, who lived with us for a short time. I’ve always loved flowers and gardens for this reason. One of the first major projects Justin and I took on after purchasing our home was the landscaping of our yard. We spent hours mapping out where we would plant our garden, what plants and trees we would have, how many, how big and so on. Luckily Justin has as big of a passion for it as I do! 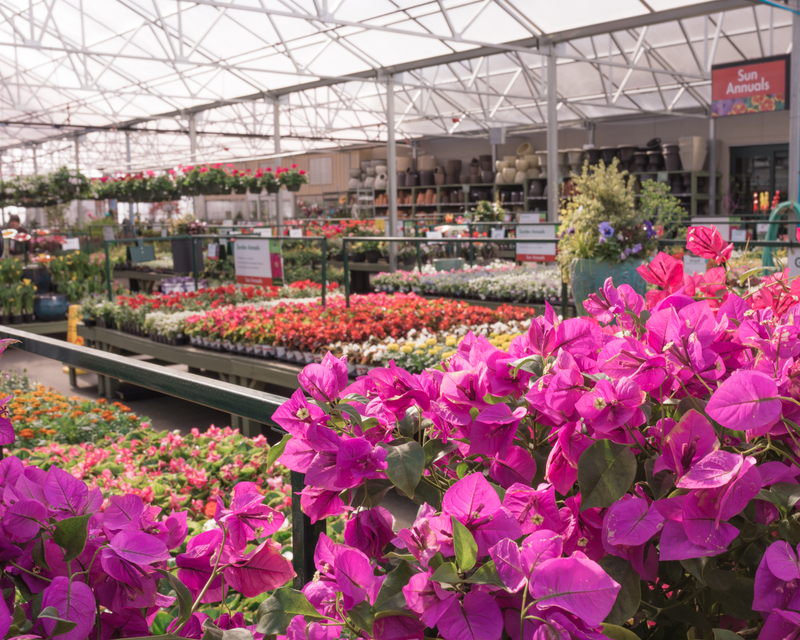 In fact, hours after we closed on our house we found ourselves at our local garden center. 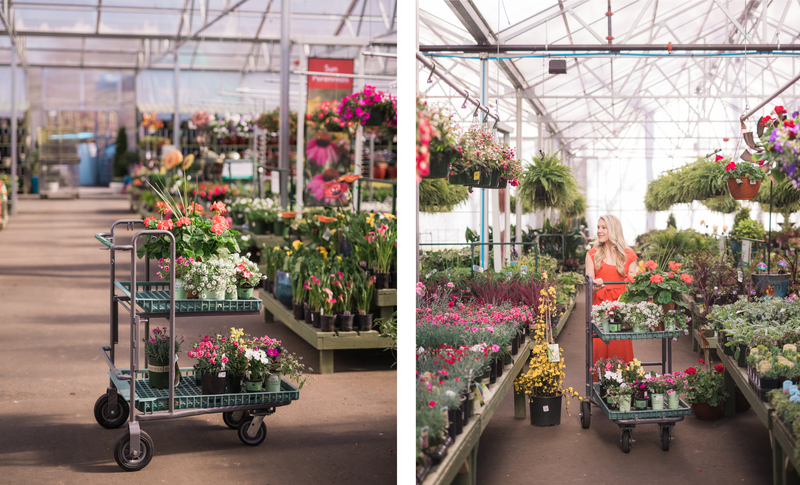 That one trip quickly escalated to three, and then four, and before we knew it the different nurseries around Charlotte knew us by name! We were hooked! The beautiful part of growing up and living in the South is that there is always something in bloom. 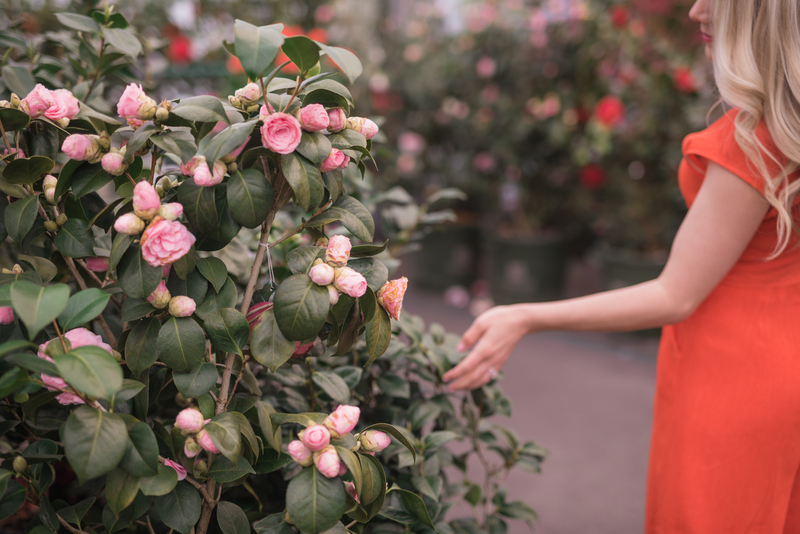 Right now it’s the many varieties of Jasmine and Cherry Blossoms, in the summer it’s the Azalea, Hydrangeas and Crepe Myrtles and come winter the Camellia, my personal favorite, makes its debut. 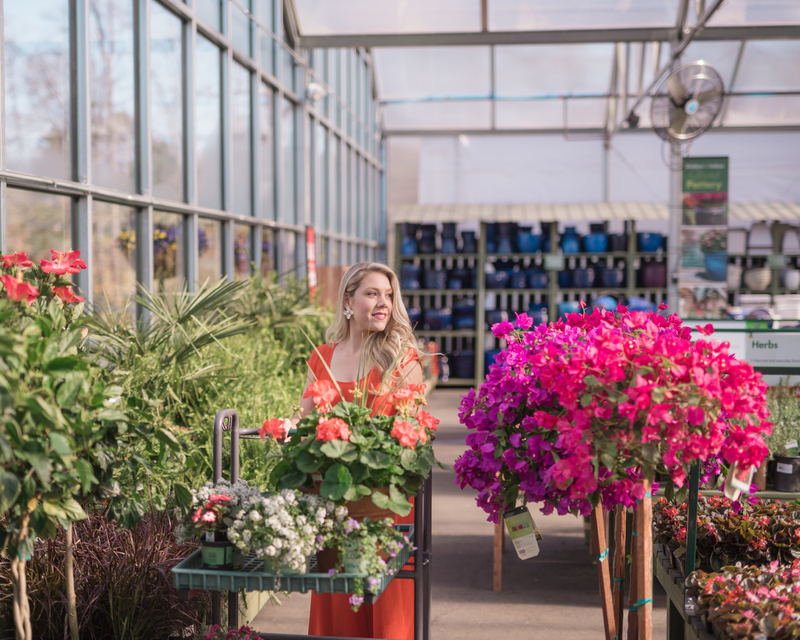 Our three favorite garden centers in Charlotte are Pike in Matthews, Southern Style Nursery off Rea and King’s in Stallings. 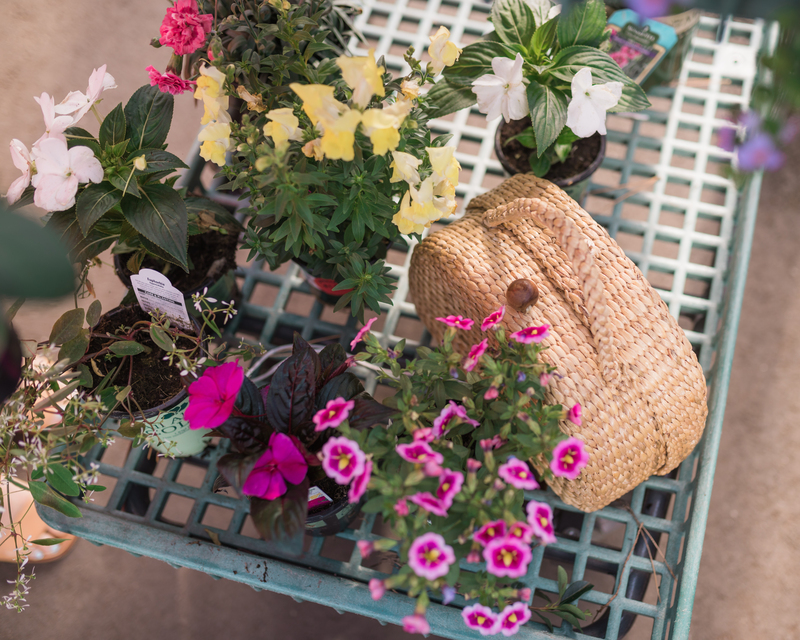 We love going and perusing through what’s in season and learning/reading about the different types of greenery, flowers, trees and more (our favorite resource is the Southern Living Garden Book). We always go in with an open mind. Justin is the more practical one, planning out what will go where based on the necessities it needs (sun, shade, extra water, etc. ), while I pick up whatever catches my eye, usually based on color, texture and size. It’s always a compromise with what we go home with! 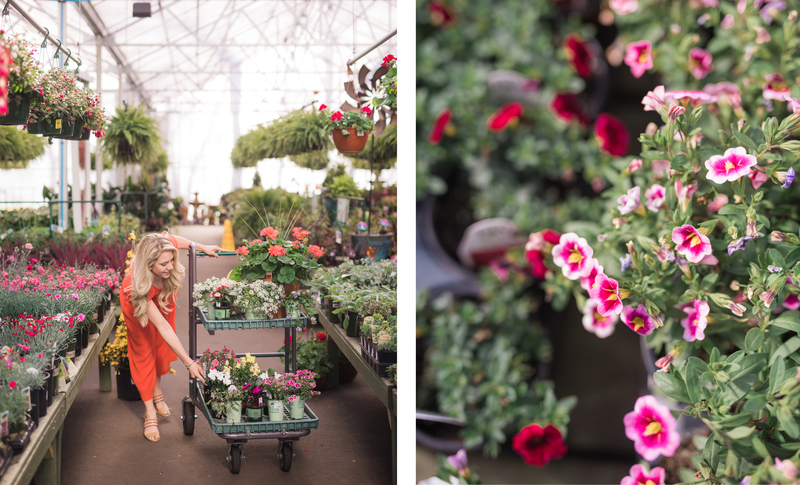 Visiting a garden center has become one of our favorite activities, no matter the season. 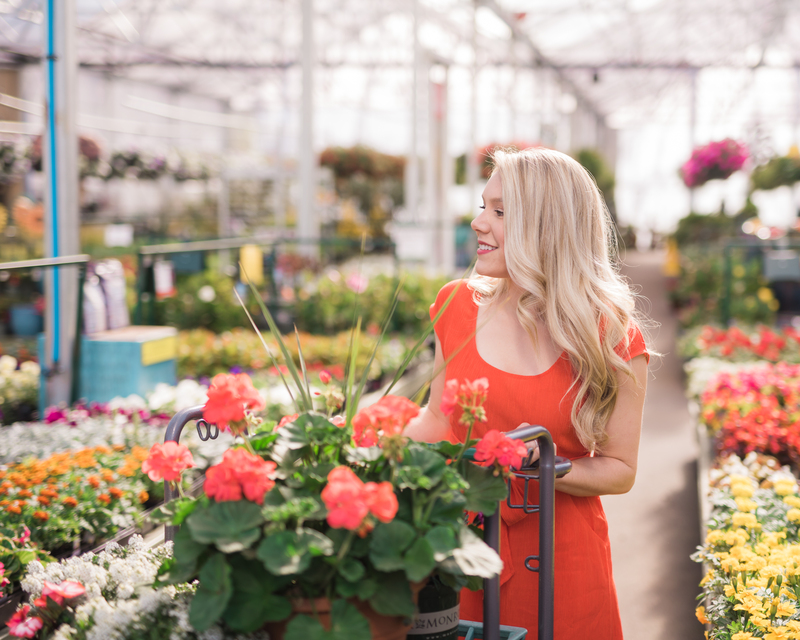 Even if you don’t have a full yard or garden to fill with plants, it’s still fun to go and learn and see what’s in season and what you like. 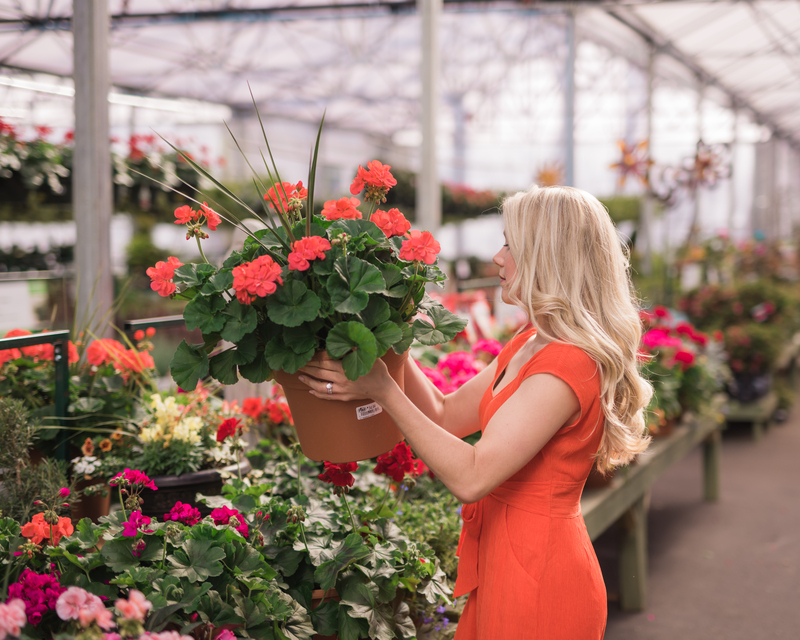 You can even start out with buying a few small pots and see where that takes you! Those who have long time followed Style Souffle, may remember the “Jasmine Wall” that Justin and I created last spring along the brick of our home. I shared an in-depth tutorial on how we created our trellis, and wanted to link that for you, here. I’m so excited to have you all follow along, and if you have any questions I encourage you share them in the comments below! This is coming at the perfect timing! 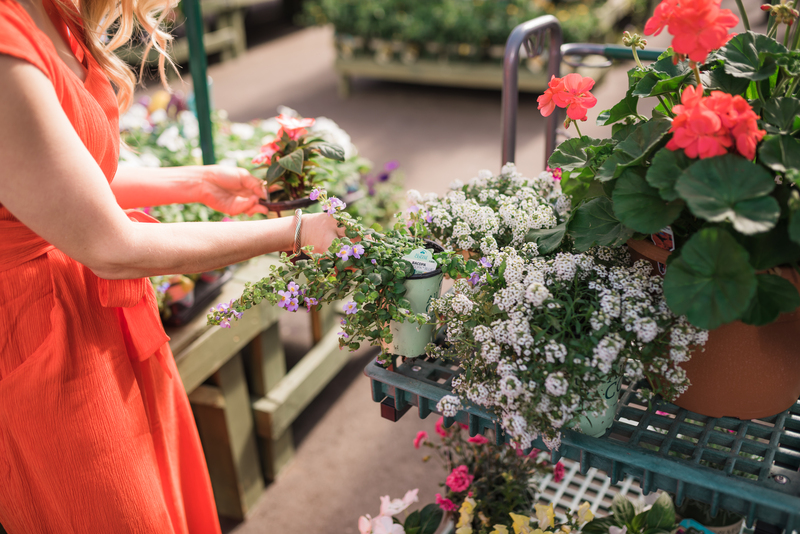 I only have a tiny little balcony with a couple of potted plants and a little trough on the railing – but I need all of the “keep my flowers alive” tips I can get! Thankful for you and this series, TR! First, loving your whole look! I can’t wait to read everything in this new series of yours! SO so pretty and excited to learn some tips and tricks along the way. Cute jumpsuit! 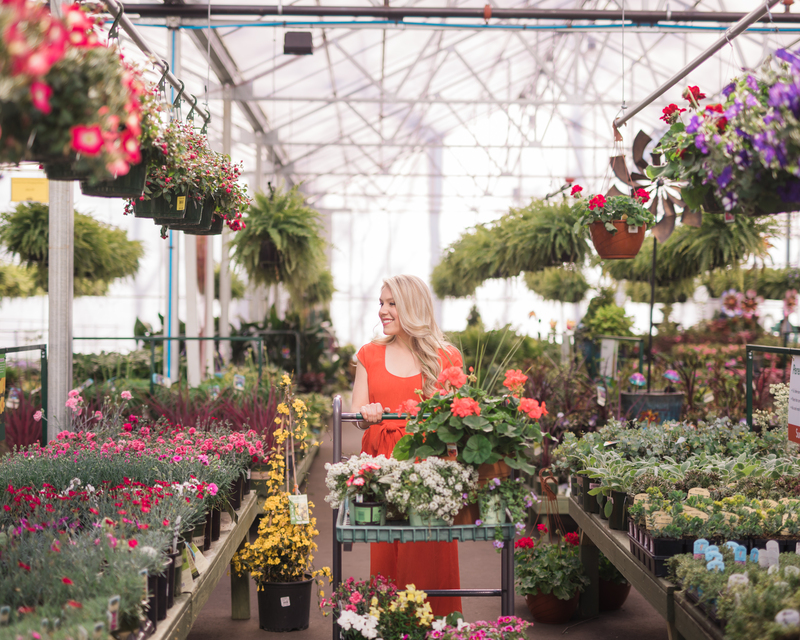 I love all of these pretty flowers, so fun! 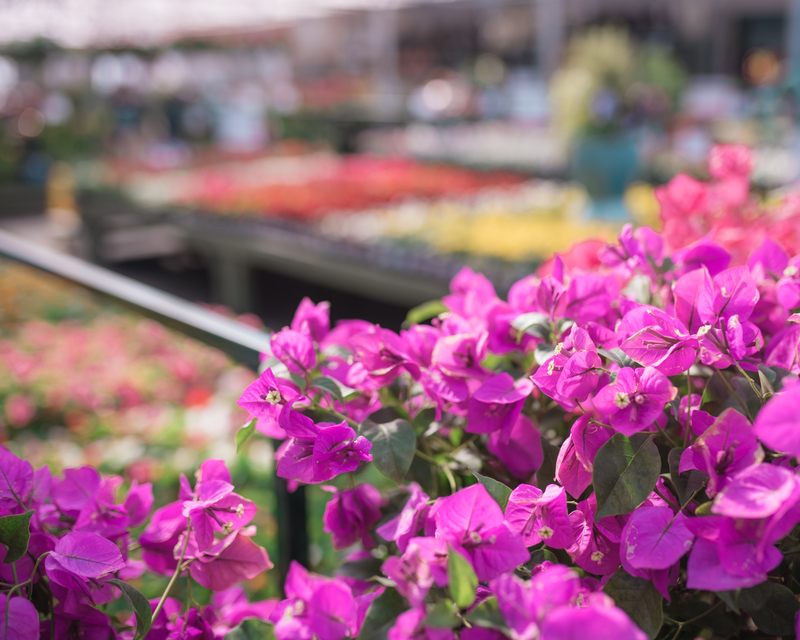 I can’t wait to see your garden in full bloom! I bet its going to beautiful. Love these pics girl!! 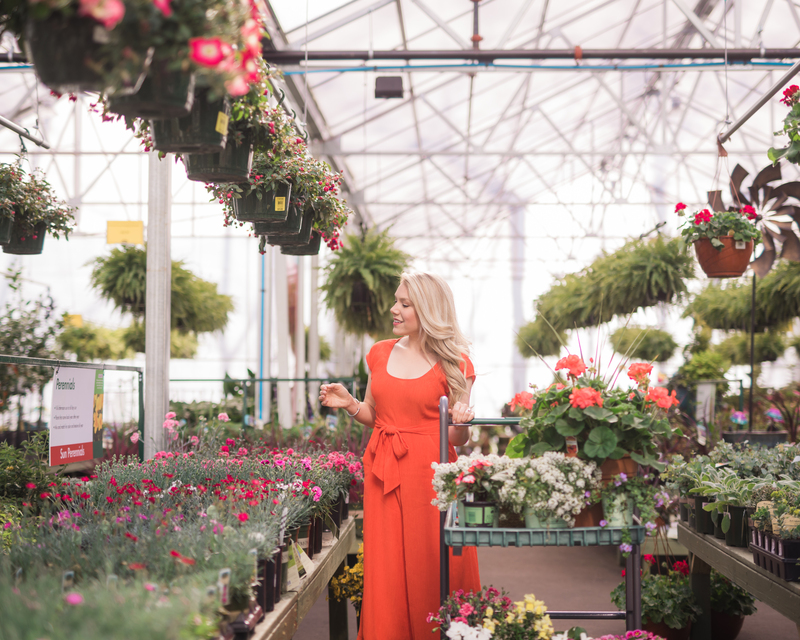 Your jumpsuit and earrings are so cute, and the flowers you chose are beautiful! Your outfit is stunning! 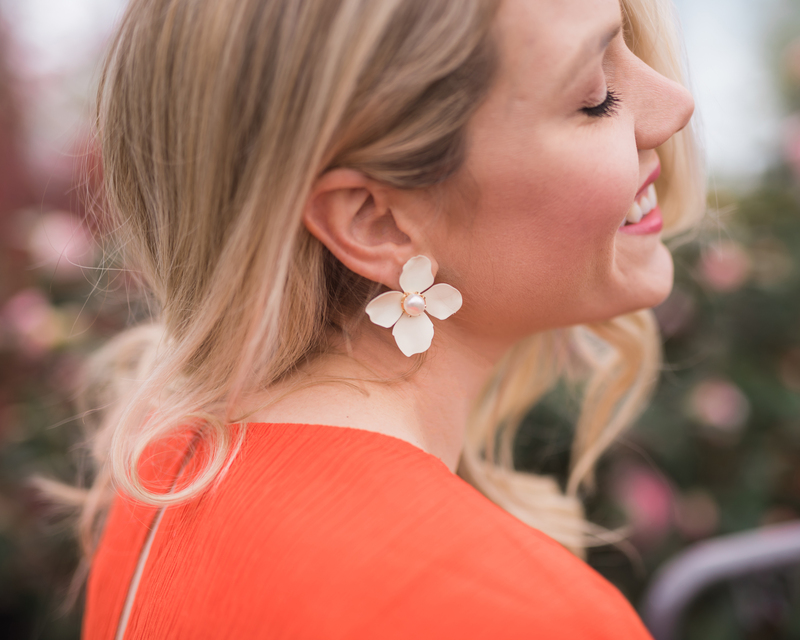 I love how the orange really pops and the detailing of your earrings. I need to go back and read your gardening posts because I am lost when it comes to gardening! All those flowers are beautiful! So many pretty blooms! Such a fun place to take photos! Okay, this jumpsuit is amazing first of all. I so wish I had a place to garden! All these flowers are so pretty. Unfortunately living in NYC I don’t have a space for it, but When we move out of the city I can’t wait to get planting! What a stunning and captivating post! Love your outift and these images are flawless! All the best on your garden!! This is gorgeous! I always tried to convince my parents to have a garden when we were growing up! I am so excited for this Monday series! 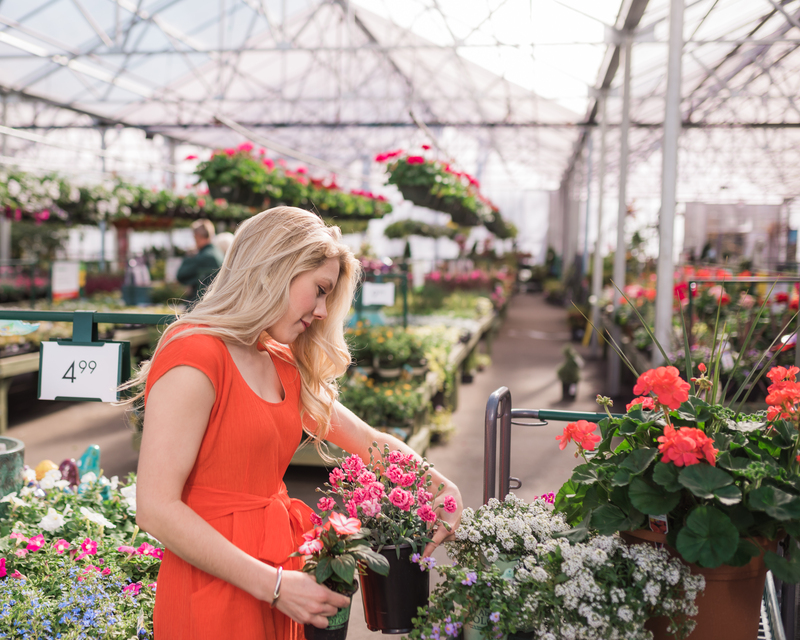 I have also been getting more into gardening lately, so these posts will be really helpful!